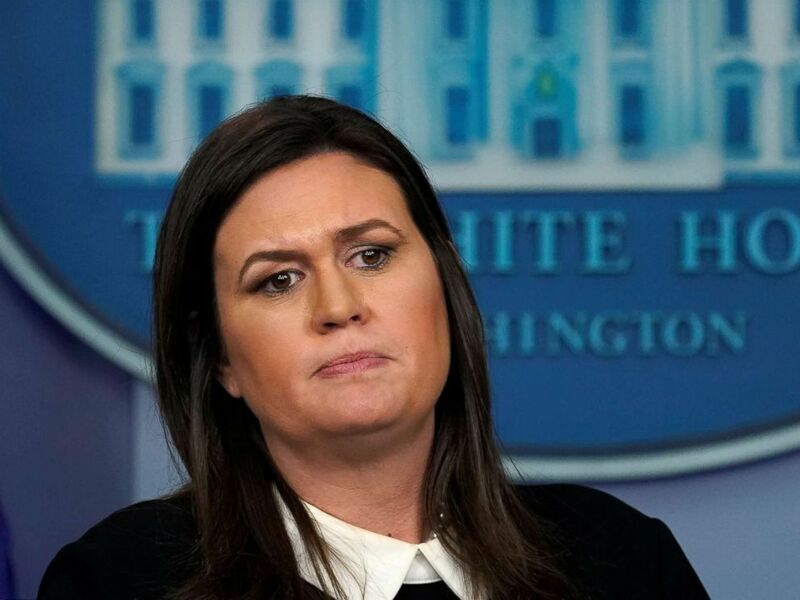 White House press secretary Sarah Sanders returned to the podium this week for the first White House briefing in over a month. The briefing came on the same day that President Trump’s former National Security Adviser Michael Flynn was supposed to be sentenced and amid uncertainty over whether the government would shut down over the president’s demand for $5 billion to fund a border wall. After Sanders stepped up to the podium to take questions, she made some fact-challenged claims. This Fact Check Friday takes a closer look. Sanders faced multiple questions about Flynn. She argued that his crimes don’t involve the president. Earlier in the day, President Trump tweeted “good luck” to Flynn on the day he was scheduled to be sentenced for lying to the FBI about his conversations with a Russian ambassador and talks related to sanctions on Russia. When it seemed that the retired Army lieutenant general might be headed to prison, Flynn ultimately asked that his sentencing be postponed and the judge agreed. White House spokeswoman Sarah Sanders pauses during a press briefing at the White House in Washington, Dec. 18, 2018. There are a few problems with those statements. Flynn pleaded guilty to a crime he committed while working for the Trump administration and for conversations he had while serving as a senior adviser to Trump. ABC News would later report that Flynn was prepared to tell the special counsel that Trump had directed him to contact the Russian ambassador. So clearly, they had to do with the president. He wouldn’t have been in a position to have the conversations if he weren’t working for Trump. Flynn has done 19 interviews with special counsel Robert Mueller’s office, an investigation that in part seems to be getting closer and closer to Trump. Sanders also dug in on a claim the president has previously made that the FBI mishandled Flynn’s questioning. In a sentencing memo, Flynn’s defense attorney Robert Kelner claimed that the FBI misled Flynn about their meeting in February 2017 where the retired general lied. We can look at Flynn’s own tense court appearance this week to debunk this. Judge Emmett Sullivan asked Flynn if the FBI had misled him. President Donald Trump talks to the media before boarding Marine One on the South Lawn of the White House, Nov. 9, 2018, in Washington. The White House sent mixed messages this week about how the president expects to fund the border wall he’s promised to build. 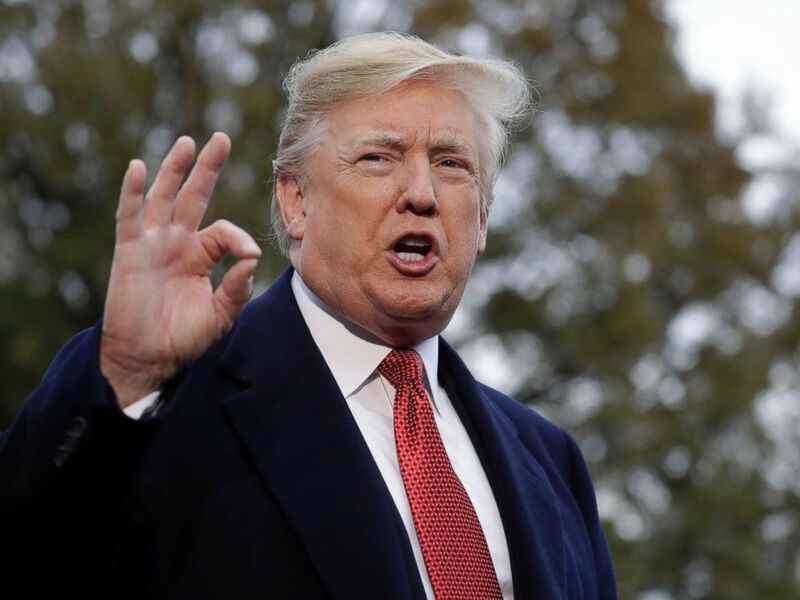 The president is now back to demanding that Congress approve $5 billion in border security funding but earlier this week he indicated that the White House would search for the funding in other places besides Congress. When pressed by ABC News’ Terry Moran about where that money would come from, Sanders said it could partially come from revenue generated by the USMCA, the United States-Mexico-Canada Agreement. That’s the agreement meant to replace NAFTA. “We are looking at existing funding through other agencies right now that we can draw on to do that immediately. The president’s been clear, the president has been clear that the USMCA deal would provide additional revenue through that deal that would show that Mexico is paying for the wall,” Sanders told Moran. “He’s saying that the revenue provided and the money that would be saved through the USMCA deal we could pay for the wall four times over and by doing that new trade deal we have the opportunity to pay for the wall,” Sanders added. We’ve fact-checked this before but it’s worth doing again. For starters, the USMCA has not been approved by Congress so there wouldn’t be any immediate revenue coming from it. Secondly, if the USMCA was in effect, the money would go to private citizens and not directly to the government. When pressed about how the math would work that it would fund the wall, Sanders didn’t have concrete numbers. The USMCA deal also has no specific stipulations about the border wall or any requirements that Mexico help provide funding for the wall. ABC News’ Alex Mallin, Ben Siegel, Katherine Faulders and Mike Levine contributed to this report.